This is AWESOME!!! Love the colors! 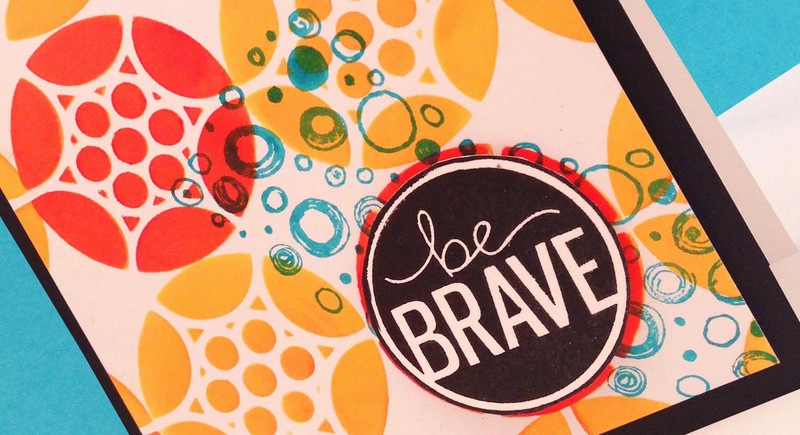 Be Brave is backed up with bright and vibrant color. Nice way to get the message across. Very creative Kimberly. Great card. This is just too darn cute! I love your design and fun stamps. Kim - love this card!!! The yellow and orange are so pretty together!!! Perfect for the challenge! Great colors. Holy cow! 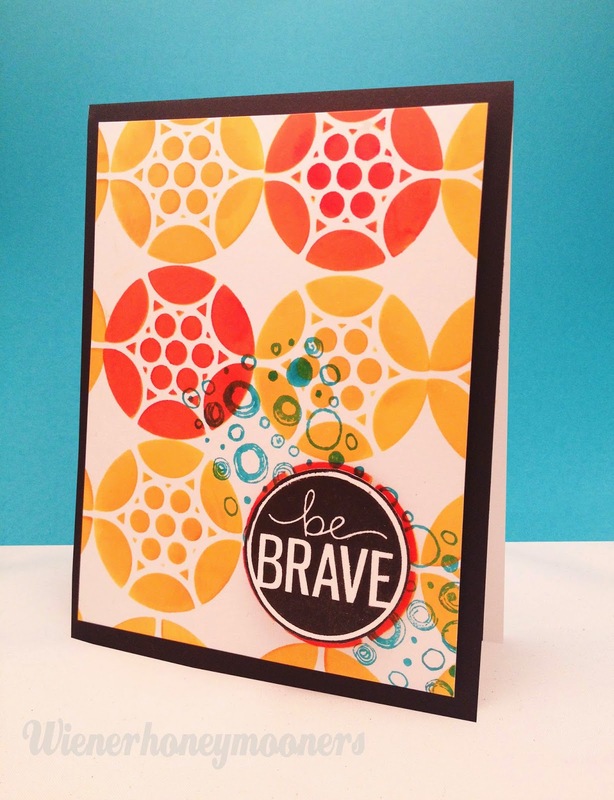 That stamp matches the design inside the vellum circle of the inspiration card perfectly! Your colors are so bold and clean - - reversing the color scheme was brilliant! Such a pretty card love the colors. Thanks for joining us over at case study.